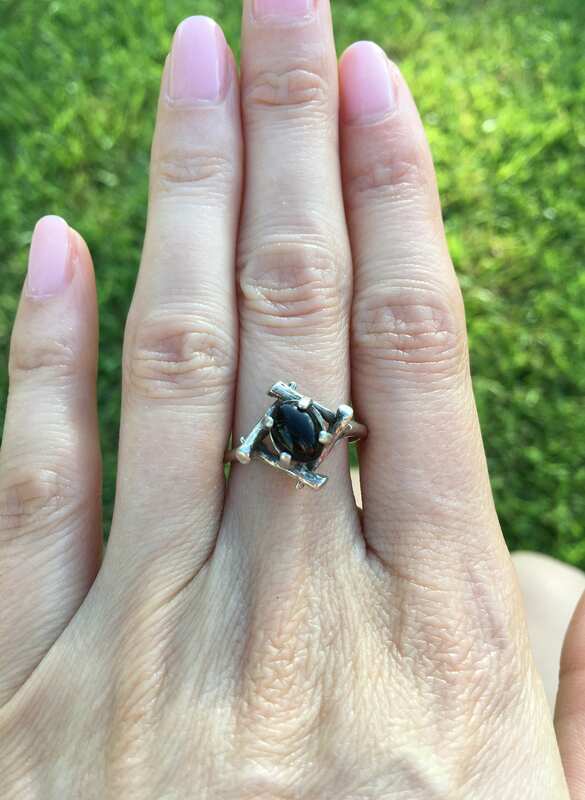 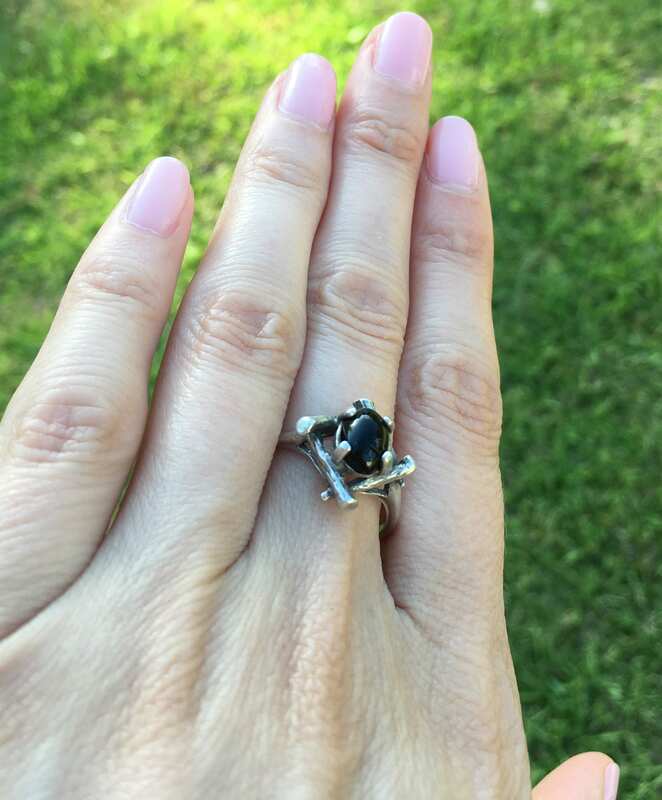 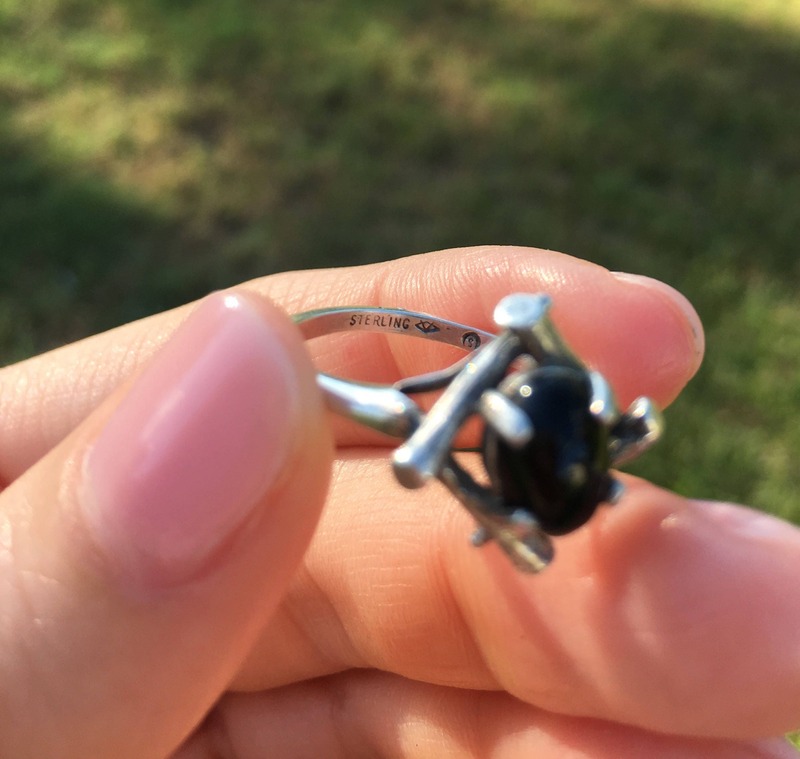 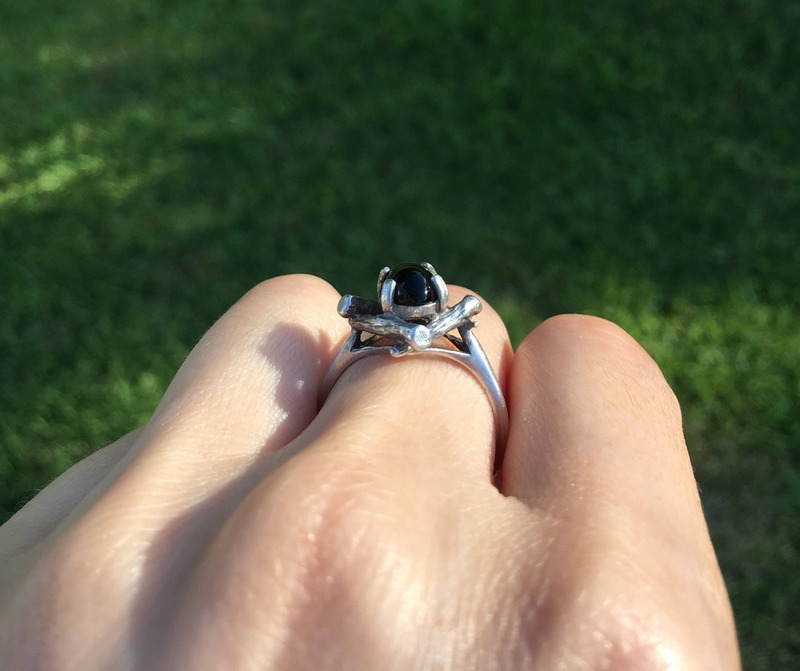 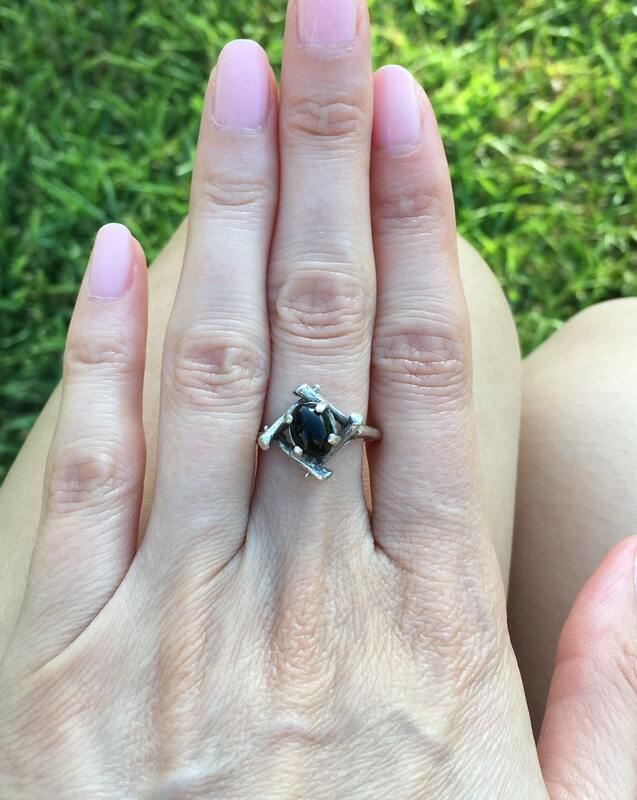 1960s Sterling(stamped) silver and onyx ring. 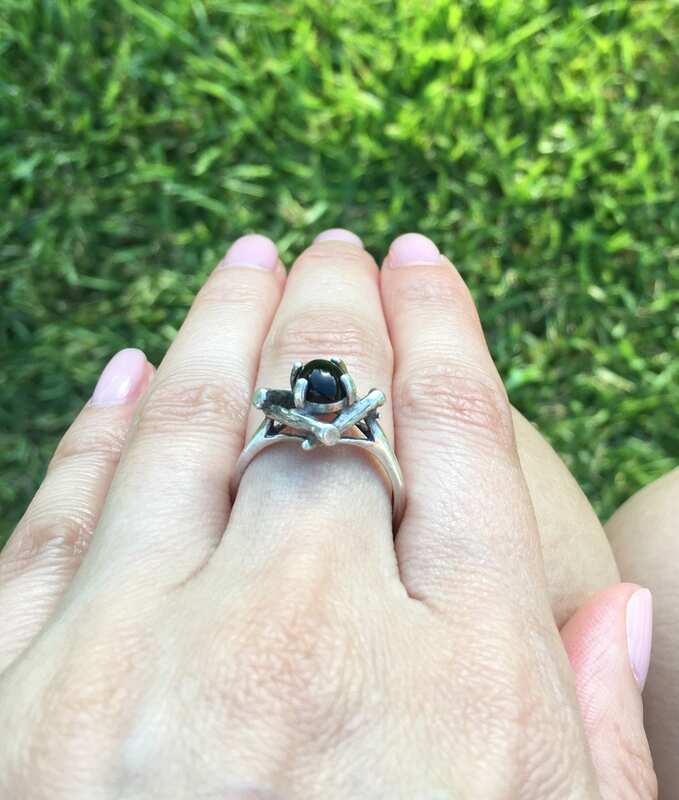 The oval cabochon onyx stone is surrounded by a foliate design of branches, lending a chic organic appeal. 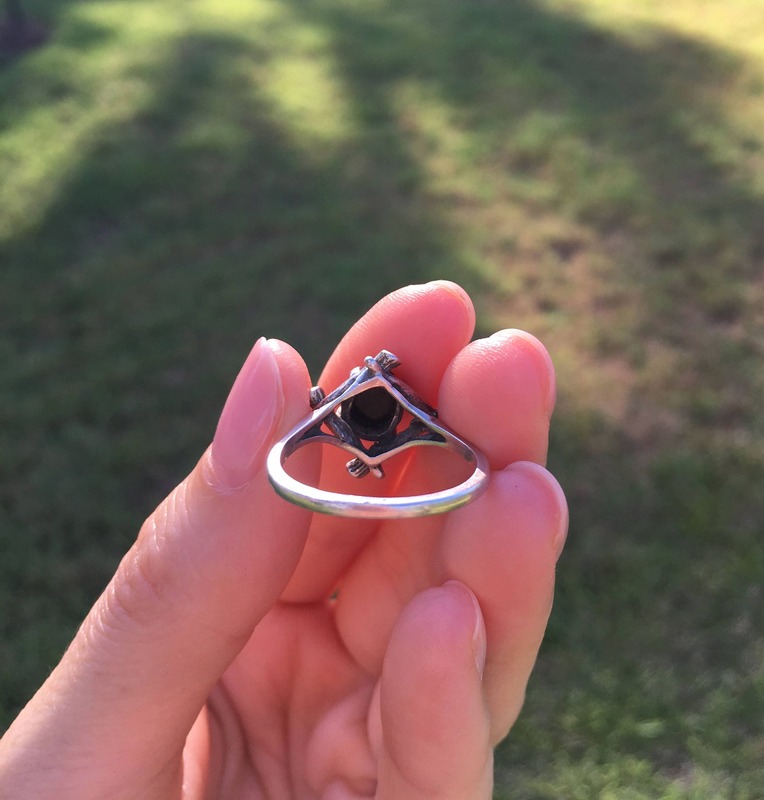 Approximate 7 plus ring size.